This ongoing series of 1:30 - 2:00 jazz performer snapshots are both a kick and a delight. While they aren't intended to change the world, they will brighten up your station's sound in the mornings and could fit pretty much anywhere else throughout the day. The latest entry into the series features harmonica virtuoso Toots Thielemans -- and what happened to this innocent and easily bemused Belgian musician on his first night in NYC. Others in the series worth your consideration, Marian McPartland Discusses Her Conversations with Duke Ellington and Thelonius Monk, Shirley Horn on Working with Miles Davis and Phil Woods On Meeting Saxophonist Charlie Parker. Please don't think of these pieces as a bridge between shows -- they are shows in themselves. In addition to enhancing your jazz programming, the NEA Jazz Master series could also be a nice flash of light on your News-Information station. 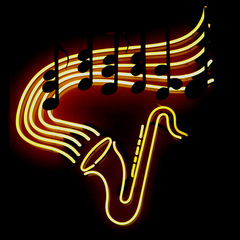 They're a nice, quick way to entertain and inform your listeners and to promote your jazz programming and jazz brand. They have station fundraising applications as well. Others in the series (Ramsey Lewis, Slide Hampton and Buddy Defranco) were reviewed in April 2008. The Dave Brubeck pieces in the series are wonderful, but have an April 2008 Brubeck Festival reference at the end. A native of Belgium, NEA Jazz Master Toots Thielemans and harmonica virtuoso, recounts his first night meeting jazz musicians on New York City's legendary 52nd Street. "The White Album Listening Party: Revisiting The Beatles' Top-Seller" celebrates the 40th anniversary (Nov. 22, 1968) of the release of the Beatles scary-new, scary-wonderful, scary-ambitious new recording. The "Listening Party" puts the Beatles White Album in the center of a circle of non celebrity, smart, non-fanatic, well-spoken and knowledgeable Beatles experts, who share their memories, opinions and stories behind the stories and the recording. It's great to hear this music again, but beyond quality of the music and the invigorating nostalgia of hearing hit after hit after hit -- is the listening party component of the show. It frequently reaches the high notes on the most important radio "best practices" metric board of story telling and listener focus. You are not the unwelcome eavesdropper on a bunch of stoned college slackers having a conversation about nothing. This is a conversation with music lovers, and Beatles' lovers (who may have been stoned at one time...just not here). Remarks and the stories behind "Dear Prudence," "Happiness is a Warm Gun," and "Why Don't We do it in the Road?" feature amusing stories and insight, and they may answer White Album questions we've perhaps been trying to formulate for the last 40 years. Also fresh -- the discussion brings forward the notion and memory that this was a scary album for a number of reasons -- to paraphrase, "What happened to 'I Wanna Hold Your Hand'...where are my Beatles?" The 3-hour presentation of the program, producer Paul Ingles recommends, "Is the best experience for your listeners as it recreates the experience of listening to the whole album. If you can only accommodate a two-hour slot there will be a two-hour version available at PRX." Three hours is tricky -- two hours is tricky, but your thoughtful, OES promotion strategy (promo materials provided on PRX), the anniversary peg, the 1968 - 2008 connections, the music that still holds up, the stories behind the music and the assembly, tone and flow created by Paul Ingles will likely create a banner day for your listeners and your station. This could be a Saturday or Sunday afternoon listening and good for any evening -- especially a blue Monday or Friday night. See the PRX page for a range of date specific scheduling options. This is just about perfect. "The Mythic Mysteries" is one of five WNYC Radio tributes, explanations and justifications for Richard Wagner's opera, Tristan and Isolde. Sometimes, rarely, once in a long while, the talk about the music is on the same level as the music itself -- and I'm aware of the potential absurdity of such a statement, considering the music at hand. But, once in a while it happens. Here in 16-plus minutes "The Mythic Mysteries" investigates, and resolves, the matters of love and longing; unrequited love where hope still remains; adultery; pain before death, pain after death and then letting go after death. Pow. Deep, deep deep -- but always welcoming and a pleasure to hear, process, and then hear again. "The Mythic Mysteries" offers strong writing, well placed irony and Amy O'Leary's narrative tone and inflections are equally heroic elements. At 16:32, "The Mythic Mysteries" is tricky to schedule. Consider combining the five parts of WNYC's Tristan Mysteries to create an hour of entertaining and engaging radio -- that just happens to be about opera. No operatic experience or operatic attachment required for your listeners, and worth consideration for most formats, including news-information. Saturdays on non-MET stations or Friday night after ATC or Marketplace. Classical: suitable for Saturday before the MET; Saturday after the MET. The MET offers Wagner's Tristan and Isolde on its regular Saturday matinee radio broadcast on Saturday, December 6 at 11 a.m. EST. The Sexual Mysteries (14:08): Content advisory aside, this segment is both historically and hysterically revealing and reveling. The Visual Mysteries (15:54): Director Peter Sellers explains how it's acceptable, understandable and maybe desirable to never quite figure it all out note by note. The Sonic Mysteries (15:34): College Music Theory courses rarely made such a relevant and contemporary case for this most famous chord of all time. Many thought it was an indecent subject with corrosive music; others found it rocking their bodies, shaking their nerves, and keeping them up all night, crying, and standing "in wonder and terror." In this episode of The Tristan Mysteries, we examine the mythic power of Richard Wagner's Tristan und Isolde with contributions from both sides of the aisle.